Let’s face it: the textile and fashion industry has a huge environmental footprint. At Usha Yarns – Yarn Manufacturer in India, we believe that what is good for the planet is also good for your business. By using pre-consumer, pre-dyed garment cutting waste and polyester made from recycled PET bottles, to produce our high-quality yarns. As sustainable yarn manufacturers, we make a sustainable product with a significantly reduced environmental footprint at a lower price. 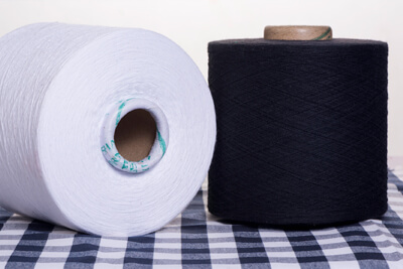 As the consumer demand for eco-friendly products is increasing, yarn manufacturers, yarn suppliers are discovering the competitive advantage that using recycled materials in production can have for their brand and for their bottom line. We found our inspiration in Steve Labonte’s words; “Recycling is a concern both human and divine”. Which means that everything on Earth is connected. Whether it is water, air, soil, nutrients, minerals, gases, or microorganisms, nature has been recycling everything in a precise ecological balance that has been occurring for all of our planet’s history. These processes ensure that all of life on Earth is sustained and humanity has an important role to play in being the caretaker of our planet. As citizens of Planet Earth, we at Usha Yarns understand that recycling waste and creating a closed loop industrial system is a key component of having a sustainable world and a sustainable business aligned with nature. 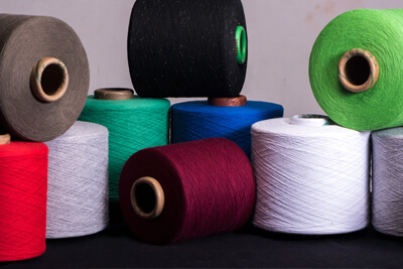 Because highest quality is an essential core value of Usha Yams, we as yarn manufacturers are constantly working to ensure that you will always receive the best in regenerated yarns. Our own in-house research, quality control, and the most modern production facilities ensure consistent global standards of high quality that you expect and deserve for every product. We proudly claim our ability to consistently deliver large lots of flawless colored regenerated yarns to produce knitted and woven garments acceptable as per global standards.